Keystone Whiskey from Manatawny Still Works. Some of the best whiskey in the entire country is made right here in Philadelphia. 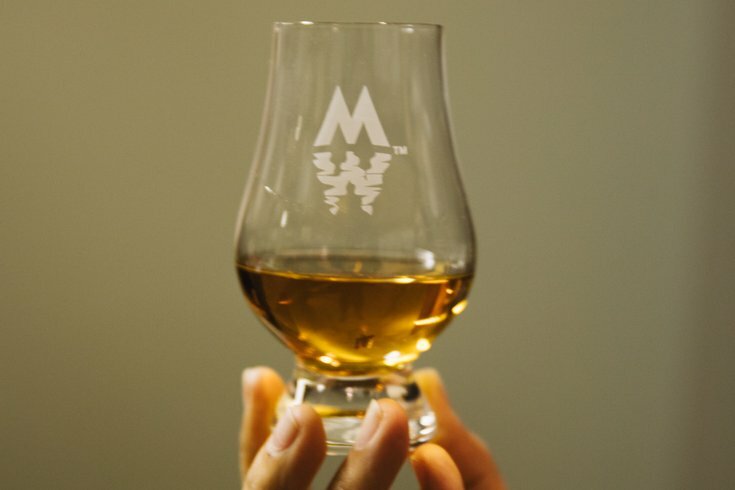 If you don’t believe it, believe the American Craft Spirits Association instead, which just awarded Manatawny Still Works one of 16 gold medals for its Keystone Whiskey. The awards were given at the association’s 2018 awards, recently held in Pittsburgh, after fielding more than 1,000 entries for the best whiskey category. Would you pay $600 for one bottle of whiskey? In addition to being a stand out Philly-area winner, the Keystone Whiskey is also noteworthy from the other winners for its non-traditional, craft-style creation, differentiating it from more formalized whiskey categories such as bourbon, rye, or single malt. Its recognition is pushing the boundaries of what has long been singularly recognized, and categorized, as whiskey by big-name liquor producers. Keystone Whiskey is comprised of several different batches aged in American Oak for 12 to 36 months. It is a malt-forward, four-grain whiskey made with malted barley, wheat, oats and rye. The finished product has notes of maple syrup, vanilla, citrus, and spices. In honor of its distinction, Mantawny is offering a limited cask strength release starting Saturday, March 24. You can get your own at either the Manatawny tasting room on East Passyunk Avenue or at the Pottstown distillery. Bottles are limited to two a person and run at $59.99 each. A total 240 bottles are being released. Check out the full list of winners at the 2018 American Craft Spirit Awards here.